RANLife Home Loans, a lender based out of Salt Lake, UT, is now offering financing on manufactured housing. RANLife Home Loans is pleased to announce a new affordable housing program for manufactured homes in efforts to expand home ownership opportunities nationwide. RANLife specializes in creating custom loan programs to fit the needs of the housing market and currently most lenders do not offer loans on manufactured homes as they consider them to be high risk. After detecting a lack of financing options, RANLife made adjustments to some of their lending requirements in order to reduce risk and create a new product. They are now one of few lenders nationwide that offers a program for manufactured home loans. “This is huge right now in our industry because there is a tremendous need for low cost housing,” stated Bishop. 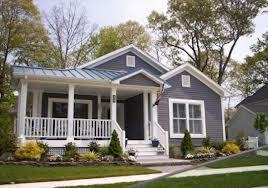 More and more home buyers are finding value in modular or manufactured housing as the price per square foot continues to increase on traditional single family homes. With over 19 million homeowners currently living in manufactured homes, this program is quickly becoming one of the most popular in helping buyers achieve the American Dream. RANLife still offers standard loan terms for manufactured housing despite their high risk. “We wanted to ensure this was going to be a low cost program,” commented Bishop. Typical manufactured home lenders in this market charge a significantly higher interest and occasionally even higher fees. Property guidelines differ from a standard home loan. The home must be newer than 1995, double wide, permanently affixed and have no more than two acres of land.